5. What is Weyerhaeuser’s approach to corporate social responsibility? For more than a hundred years, Weyerhaeuser has been building and enhancing a reputation for responsible corporate citizenship. We are committed to operating as a sustainable company and are listed on the Dow Jones World Sustainability Index. Each year we publish a Sustainability Report to provide an overview of our economic, environmental and social performance. To learn more about Weyerhaeuser's commitment to corporate social responsibility, visit the Sustainability section of our website. 1. Who is Weyerhaeuser’s transfer agent and registrar? 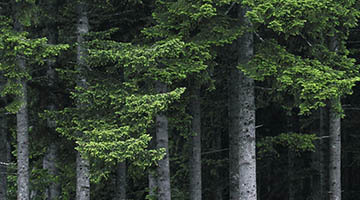 Weyerhaeuser's transfer agent is Computershare. Computershare maintains the records for our registered shareholders and can help shareholders with a variety of issues at no charge. Registered shareholders can access their account information by contacting Computershare via internet, phone or email. For details, visit our Shareholder Services Transfer Agent page. 2. I have misplaced my share certificates, what should I do? Please contact Computershare, the transfer agent. 3. How do I obtain replacement share certificates? 5. Do you offer a dividend reinvestment or a direct stock purchase plan? Yes, we have Direct Stock Purchase and Dividend Reinvestment Plans. For enrollment information, please contact Computershare. 6. When is the next Annual Shareholders’ meeting? The next Weyerhaeuser Annual Shareholders' Meeting will be held on May 17, 2019 at the Embassy Suites-Pioneer Square, located at 255 South King St., Seattle, WA 98104. 1. Where can I get information about current financial performance? We release earnings reports every quarter. To access the latest earnings financial information visit our Quarterly & Annual Reports page. You can also listen to the webcast or conference call replays by visiting our Events & Presentations page. To view our latest 10Q report, visit our SEC filings page. 2. Where can I find historical data on financial performance? Our Quarterly & Annual Reports page includes financial data from 2005 to the present. Our SEC filings page includes financial data going back to 1994. 3. How can I get a copy of the most recent annual report? Download a PDF version from the Quarterly & Annual Reports section of this website. You can also request a paper copy of our Annual Report & 10K, please fill out our publication request form. 4. Can I receive Weyerhaeuser’s press and earnings releases by email? Yes. To do so, please sign up for our email alerts. 5. Are there quiet periods during which you can't disseminate news or answer questions? In general, publicly held companies are required to be very careful to release news to everyone simultaneously. Due to these restrictions, there will be times at which we are unable to respond to certain inquiries. For example, the SEC requires public companies to be particularly cautious about any comments related to earnings between the end of each reporting period and the time when financial results are released. There may also be specific inquiries we are unable to answer at any time. 6. What is Weyerhaeuser’s fiscal year? Weyerhaeuser’s fiscal year ends on December 31. 1. What is Weyerhaeuser’s dividend rate? To view a history of Weyerhaeuser's dividends and a proposed schedule going forward, visit our Dividend Information page. 2. Can I have my dividends directly deposited into my bank account? If you are a registered stockholder, you can have your dividend directly deposited into your bank account. Please contact Computershare, our Shareholder Services Transfer Agent, to set up direct deposit for your dividends. If you are a beneficial stockholder (i.e., you own your stock in a brokerage account), you should contact your broker to see if they offer direct deposit. 3. Where's my dividend check? If you are a registered stockholder and have not received your dividend check within a reasonable time after the dividend payment date, please contact Computershare, our Shareholder Services Transfer Agent . If you are a beneficial stockholder (i.e., you own your stock in a brokerage account), you should contact your broker. 4. Do you offer a Dividend Reinvestment Program (DRIP)?